Judy Petersen-Fleming is an author and social entrepreneur who has shared the wonderment of exotic animals with people around the world for more than 30 years. While Judy has worked with a vast array of fascinating animals over the years, she has a particular fondness for penguins. Over time, she has become aware of the many misconceptions that exist about these comical birds, and it is her passion for educating kids that led to her commitment to develop Suzy’s World with Suzy Spafford. Judy and her husband, Bill, live in Scottsdale, Arizona. Suzy Spafford is the creator and illustrator of Suzy’s Zoo. Her artwork first appeared as greeting cards in 1968, and over the years, her characters have appeared on a wide variety of products in over 23 countries. In addition to her work with Suzy’s World, Suzy is working on a new animated television series, Adventures in Duckport, featuring the central characters from Suzy’s Zoo. Suzy and her husband, Ray Lidstrom, have four adult children and four grandchildren between them. Suzy and Ray live in an old arts-and-crafts house in San Diego, California, where Suzy continues to illustrate her whimsical characters. I like penguins and I've always dreamed of one day making it to visit Antarctica. 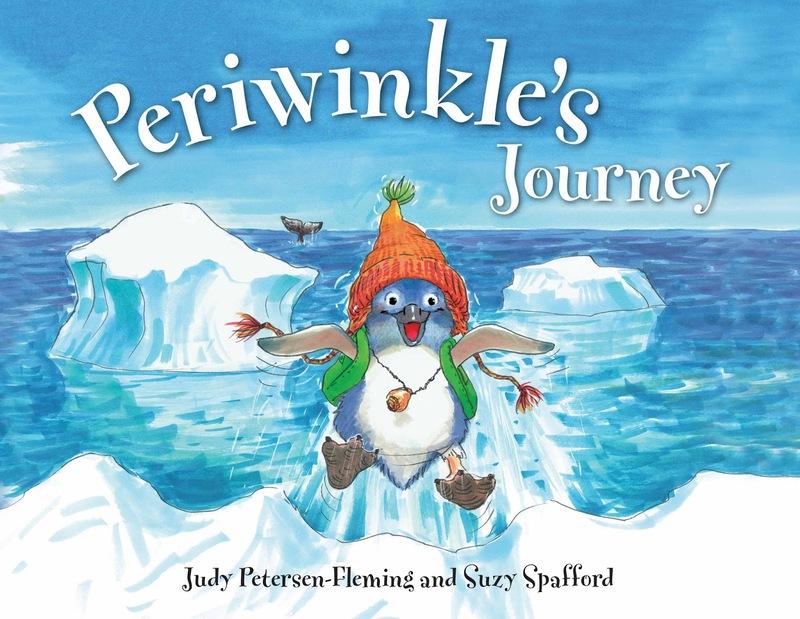 Periwinkle's Journey is the tale of his journey to Antarctica for a birthday party to visit his penguin cousins. The book teaches about penguins in general but more importantly teaches about diversity and self esteem and how it's okay to be different. Periwinkle is the only blue penguin of the bunch, and his mama tells him how brave he is. She gives him a necklace to remind him how brave he is for his journey and Periwinkle ends up giving the necklace as the birthday present in the end. Great illustrations all around with a great story to back it up. Apparently, this is the first book in a series to teach more about animals to kids. I think the author does a great job here to go beyond just teaching about the animals. Early readers of picture books will definitely enjoy. 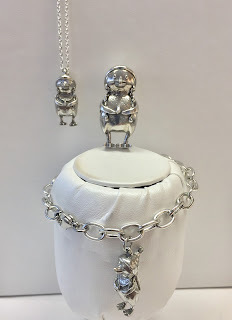 The giveaway is for a special Perwinkle gift set! 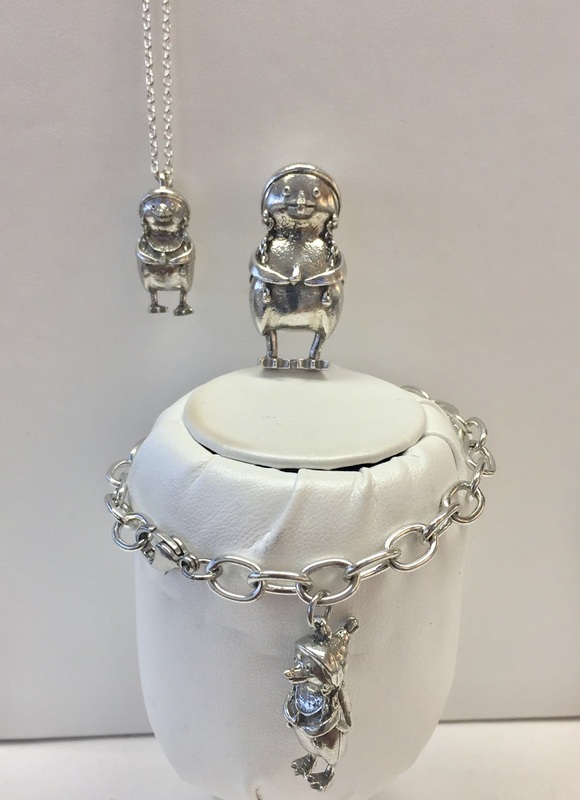 The prize pack includes a SIGNED copy (by both author and illustrator) of Periwinkle’s Journey, and an official, copyrighted Periwinkle pendant that is perfect for necklaces or charm bracelets! If you're interested in purchasing the prize pack, it is available for $51.98 combined. The giveaway is open to residents of the US and Canada (excluding Quebec) who are 18+ and ends at 11:59pm EST on 12/31/2016. Void where prohibited. I saw the Wags And Whiskers characters, so cute! Oh my gosh her zoo is amazingly adorable!! They're perfect for kids! Saw Wags & Whiskers, my grandsons would love them, thanks! I saw a cute picture of three cats on a scooter. Corky turtle, he has always been my favorite. I saw a Wags and Whiskers section! I love the Wags and Whiskers! Such cute characters!! I like the Wags & Whiskers stationery collections. I saw that they have a wags and whiskers stationary collection. I love the Wags & Whiskers. So cute. We have a cat named Smoki. I like the Little Suzy’s Zoo. I saw that they have coloring sheets. I saw that you can read "Rainy Day Friends" online! It's so cute! i love that they have coloring pages that can be printed. Ellie Funt, the elephant and Patches, the giraffe are my favorite characters. I saw Little Suzy’s Zoo. So cute. I love the name of Jack Quacker. I love the characters from "Wags & Whiskers".